Now & Next: The 2019 World Without Exploitation Convening. At World Without Exploitation (WorldWE) we’re united in the belief that we won’t end exploitation until we confront the root causes of this human rights and gender justice issue. We know our movement is strongest when we do this by coming together, which is why we’re pleased to announce Now & Next: The 2019 World Without Exploitation Convening. 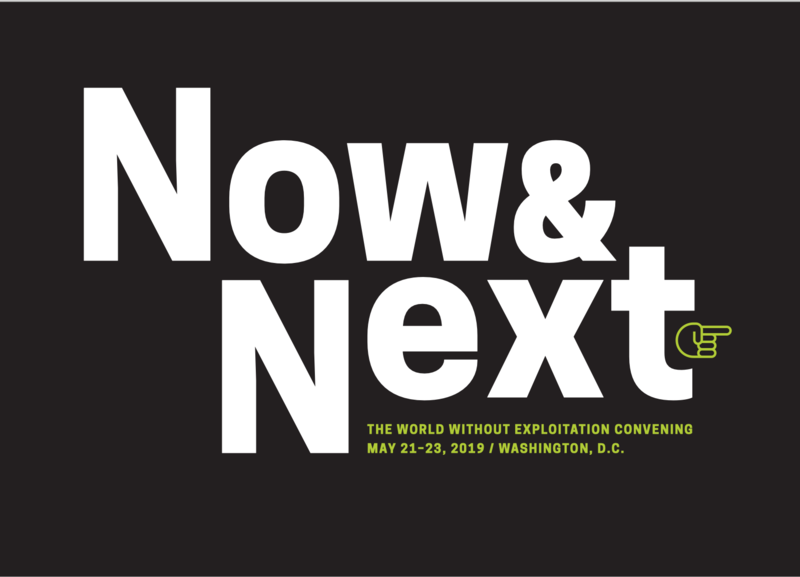 During this two-day gathering, a national community of WorldWE members and allies will come together to explore what’s new in the movement to end human trafficking and sexual exploitation, and what’s next. With a four-part focus on direct service, legal advocacy, communications & storytelling, and trauma stewardship, Now & Next will be both aspirational and practical, homing in on actionable ways to make our movement and our membership more effective. Wink Hotel, Washington, D.C. Wednesday May 22 - Thursday, May 23. Space is limited. Register for Now & Next here. More details, including speaker bios, coming soon.